Your sponsorship of the 7th Annual Run Up for Downs will go toward building The Lily Pad Café. The Cafe will employ & train young adults with disabilities and equip them with the tools necessary to obtain employment by local businesses. The Run Up for Downs, our annual fundraiser for The Lily Pad, attracted more than 1,000 participants last year who come to celebrate inclusion and enjoy a fun, family friendly awareness day. This event kicks off with a 5K run/walk and a fun run. Families may also enjoy live music, jump zones for the kids, an amazing silent auction, pony rides and tons of great food and drink donated by local businesses. Thanks to generous contributions like yours, we have successfully raised nearly $70,000 toward our goal of $250,000. Reaching our goal will mean building The Lily Pad Cafe and ensuring meaningful employment and independence for our loved ones that are differently abled. 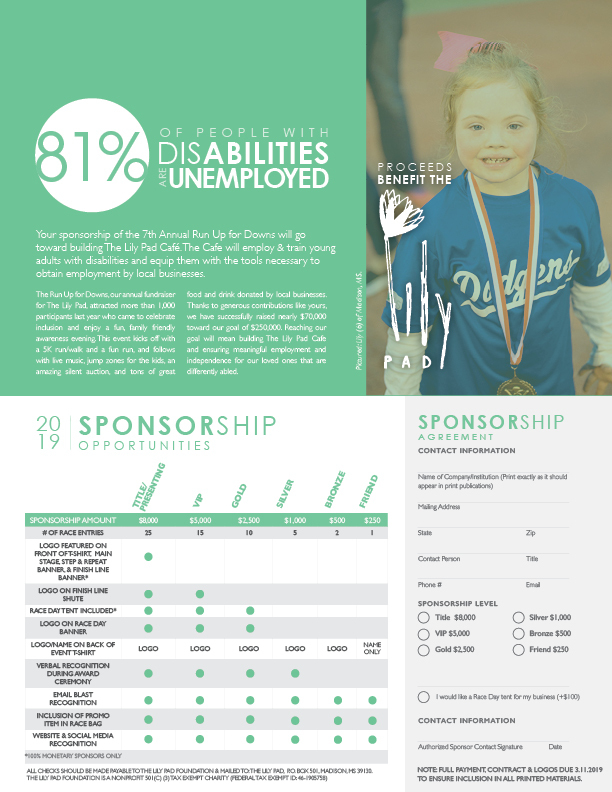 Are you a business that might be interested in sponsoring? Have a business in mind that you think we should contact? Fill out the form below or email brent@thelilypadms.com. 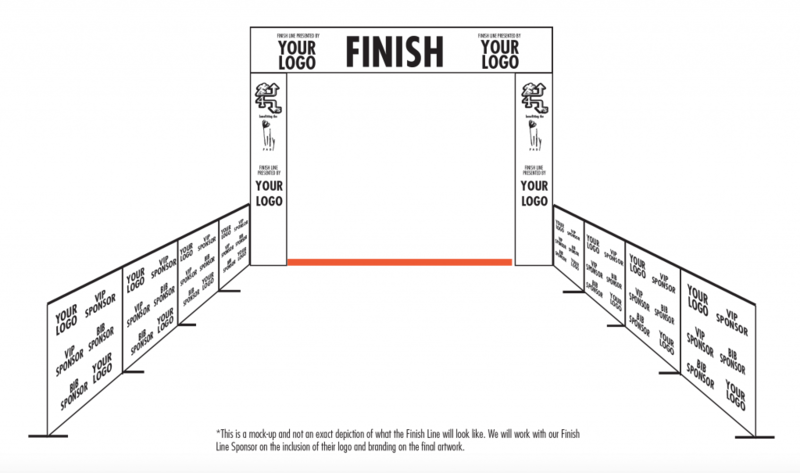 We have 2 new specialty sponsorships available: Finish Line and Bib sponsorship. Download our 1-sheeter below for more info. Email brent@thelilypadms.com if you have any questions and/or if you are interested.